- Gas based Power Plants. Matching up with the ever increasing requirements of the customers, our company is engaged in providing Electrical Substation Maintenance Service. 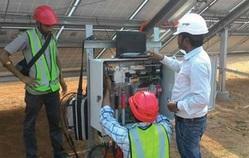 Professionals work in effective way and provide Substation AMC Service. This contract is available for different devices installed in commercial place. Moreover to this, these presented services are satisfactory and accomplished by professionals in minimal time. We engage in Substation Maintenance Upto 132kv . We provide reliable Substation Maintenance for various types of electrical equipment. Substations are electrical units used for the transmission of electricity or transforming high voltage into low and vice-versa. 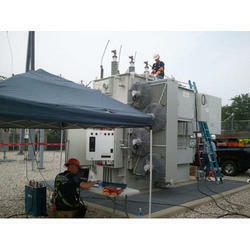 We offer substation maintenance services to clients across the country. Assisted by our massive industry competence and understanding of this realm, we are adept to presenting Substation AMC Services. Imparted beneath the backing of assiduous executives, these services are massively valued and applauded. In addition to this, their economic rates at which we are shipping these services to our customers have made us a well-known business choice of our customers. Reckoned as one of the eminent business names, we are readily engaged in the arena of presenting to our customers Outdoor Substation Maintenance Service. A team of nimble personnel implements these services in tune with pre-defined provisions of clients. As well, we provide these services to our clients with utmost care to best match up with the prospects of our clients. As an attempt to provide a total solution to our esteemed clients we have also forayed in to the Operation and Maintenance of the EHV Substations/ Solar plants. The services offered are providing the technically qualified operating staff for the substation operation and routine and preventive maintenance.